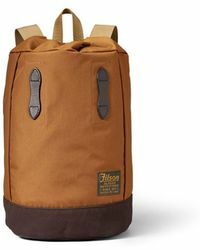 Established in 1897, Filson is a US-based label adored for its ruggedly durable aesthetic. 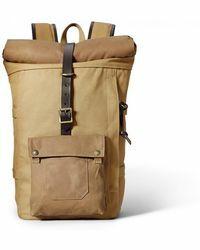 Grounded in quality, craftsmanship and value for money, the brand originally catered for the needs of prospectors passing through Seattle on their way to the Klondike Gold Rush and has expanded over the years to provide outdoor enthusiasts with essentials. 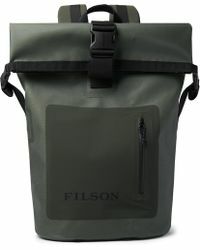 Today Filson boasts stores in London, Seattle, New York and Portland. 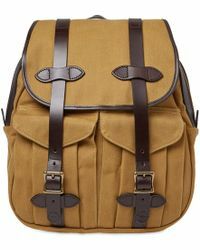 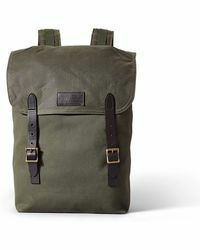 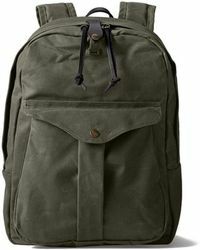 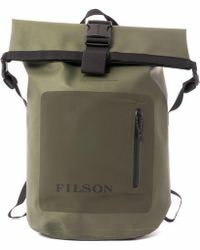 Classic backpack designs in the men's Filson collection are given an update with contemporary hardwearing vinyl fabrics and functional adjustable. 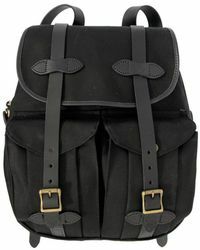 Expect bold chain embellishments, luxe waterproof fabrics and statement designs that exude both durability and style.